Newcastle Disease Virus is a contagious and fatal viral disease affecting most species of birds. Clinical signs are extremely variable depending on the strain of virus, species and age of bird, concurrent disease, and preexisting immunity. Four broad clinical syndromes are recognized by scientists. They are Viscerotropic velogenic, Neurotropic velogenic, Mesogenic, and Lentogenic. NDV is so virulent that many birds die without showing any clinical signs. A death rate of almost 100 percent can occur in unvaccinated poultry flocks. NDV can infect and cause death even in vaccinated poultry. Fortunately NDV has not infected domestic chicken flocks in the United States since the last outbreak was eradicated in 1974. NDV is spread primarily through direct contact between healthy birds and the bodily discharges of infected birds. The disease is transmitted through infected birds’ droppings and secretions from the nose, mouth, and eyes. NDV spreads rapidly among birds kept in confinement, such as commercially raised chickens. High concentrations of the NDV are found in birds’ bodily discharges; therefore, the disease can be spread easily by mechanical means. Virus-bearing material can be picked up on shoes and clothing and carried from an infected flock to a healthy one. NDV can survive for several weeks in a warm and humid environment on birds’ feathers, manure, and other materials. It can survive indefinitely in frozen material. However, the virus is destroyed rapidly by dehydration and by the ultraviolet rays in sunlight. Any animals showing symptoms of Newcastle disease should be quarantined immediately. New birds should also be vaccinated before being introduced to a flock. An inactivated viral vaccine is available, as well as various combination vaccines. This entry was posted in Chickens, Ducks, Geese, Guineafowl, Health, Quail, Turkeys and tagged Animal, Bird, chicken, disease, eggs, Medical sign, Newcastle disease, United States on May 30, 2013 by naturalpfg. Lynsey Waddle’s second-grade classroom at Lincoln Charter’s Denver campus is anxiously awaiting the results of its latest experiment. The class is the only one in the county participating in the “4-H Embryology Hatching Project,” which is correlated with the North Carolina Standard Course of Study for second grade and is designed especially for youth between second and seventh grades. Through the three-week project, students learn about the life cycle from quail egg to bird. Twelve 4-H families are also participating in the project, said April Dillon, Cooperative Extension agent for 4-H Youth Development. Participants were distributed 20 quail eggs, along with 4-H incubators, on April 18, after receiving the necessary curriculum training. They were then required to set their eggs by April 22, with all quail returned to Lincoln County 4-H by this Monday. “Some 4-H’ers will keep their quail if they have received a wild game bird permit, and others will return their quail to the 4-H office to be raised by a permitted individual,” Dillon noted. With most due to hatch this week (and some having already done so), the anticipation is building. Waddle said Tuesday afternoon that she expects her classroom’s quail eggs to be hatching at any moment, having spotted a crack in the shell of one of them in the morning. The first-year teacher, who has 24 students in her class, received 23 eggs, though four weren’t fertilized. She jumped at the chance to participate in the project, despite no real-life experience of her own on the subject. “I’m no egg expert,” she said. However, she knew it would provide her another way to instruct her students besides just talking to them. “I feel like it brings the life cycle to the classroom,” she said of the hands-on approach to teaching that particular course unit. She also raised butterflies with the class, which hatched just last week. And while these projects certainly teach specific aspects of science, their scope goes beyond the textbook. Waddle said her students are also learning responsibility, as well as how to solve problems and make and develop their own plans. 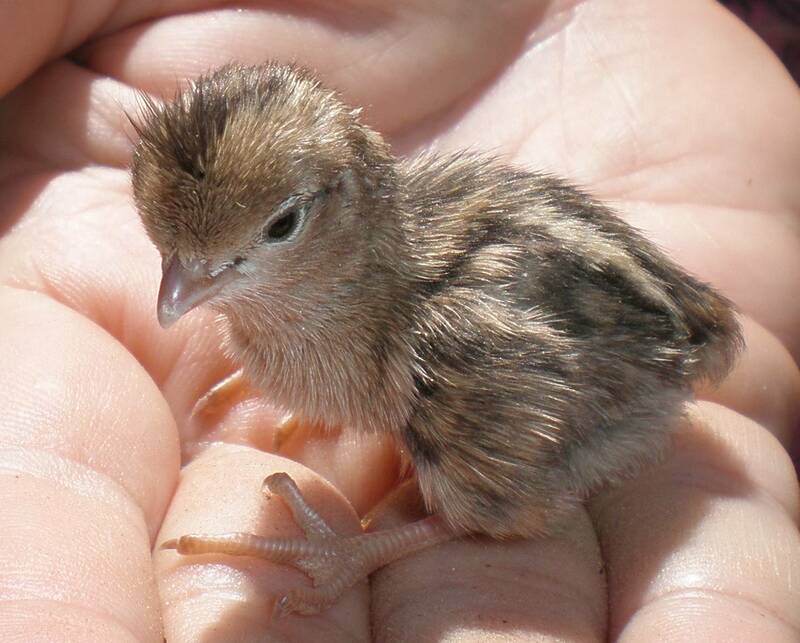 This entry was posted in News, Quail and tagged Education, Educators, eggs, K through 12, quail, Quail Egg, Second grade, Vitamin on May 20, 2013 by naturalpfg. The quail industry has thrived in recent years. And for people who want to make ends meet with animal farming, try raising quails for health and wealth. Quails need little water and food and lays an egg a day,. The meat is white, tasty and healthy for consumption. However, the eggs are by far the most important product. British researchers say that quail egg should be pronounced a super-food, as they have an great impact on our health and even helps to fight obesity. According to nutritionists, the egg is one of the richest in good essential ingredients and we all should consume at least two eggs a day. The researchers emphasize the egg’s important role in general health protection as well as losing and maintaining body weight. Quail egg is simply, an elixir of life. Quail eggs are considered one of the best known natural health products. Chinese medical practitioners have been using quail eggs for treatment for centuries with exceptional results. As quail eggs are slowly becoming easier to buy in the market place, more people are beginning to show interest in its uses as an active natural medicine instead of the chemical products with many side effects. Quail eggs contain 3 or 4 times as much nutritional value as chicken eggs do, and they are 13% protein while chicken eggs are only 11% per cent. They contain nearly three times as much Vitamin B1 as chicken eggs do, and you can get double the amounts of Vitamin B2 and Vitamin A by eating quail eggs. Fertile quail eggs are also very rich in calcium and phosphrous, and you can actually obtain 5 times more potassium and iron from quail eggs than from chicken eggs. This entry was posted in Health, Quail and tagged Business, eggs, Livestock, poultry, quail, Quail Egg, Riboflavin, Vitamin on May 7, 2013 by naturalpfg.